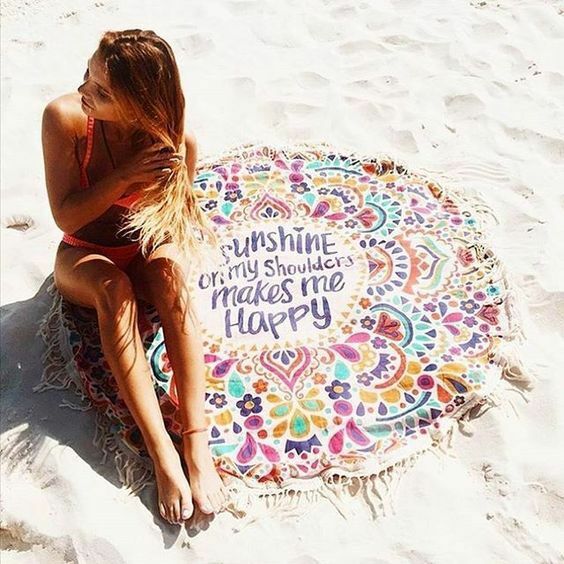 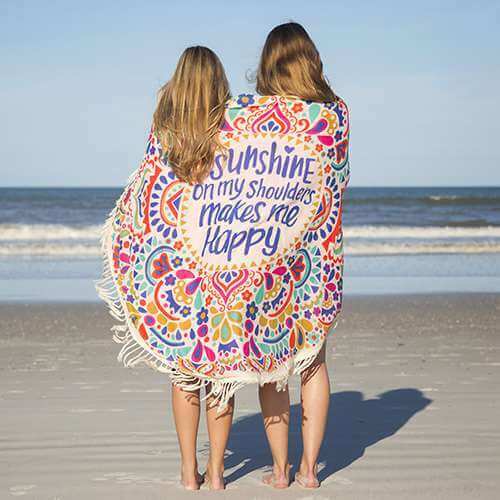 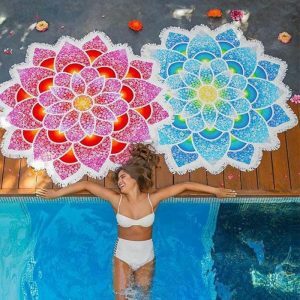 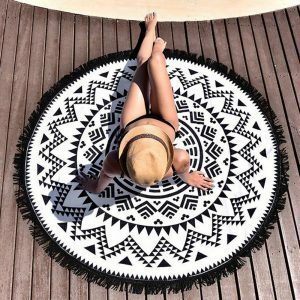 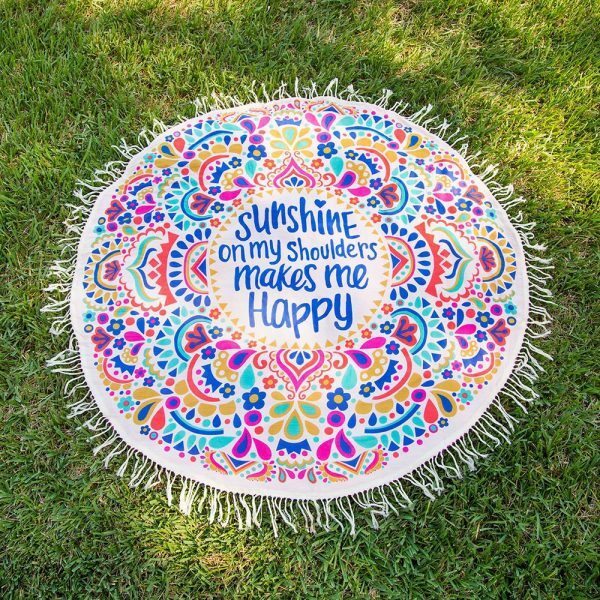 Beautiful Sunshine Yoga Beach Blanket! 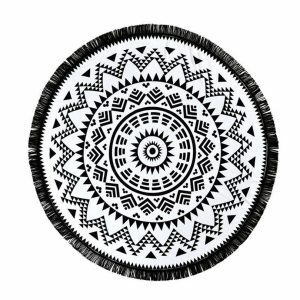 Moldable and supple, Soft, smooth, ethereal and comfortable, it can be rolled or folded and extremely versatile props. 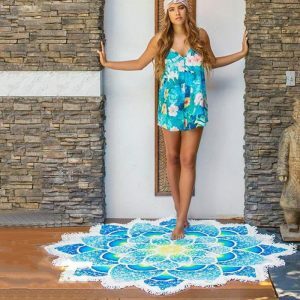 This mandala yoga blanket is not gorgeous to look at, this design also gives a special ethnic touch to your home. 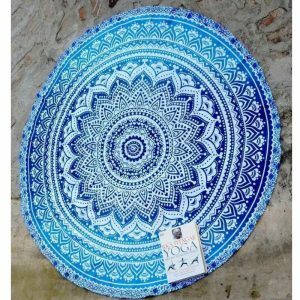 It is a perfect embellishment for your Bedroom & Drawing room. 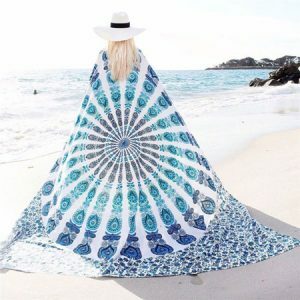 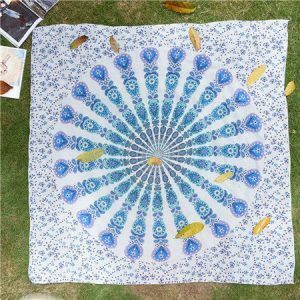 It can also be a beautiful scarf, clothes decor, bikini cover up and also a thin yoga beach blanket so that you can enjoy. 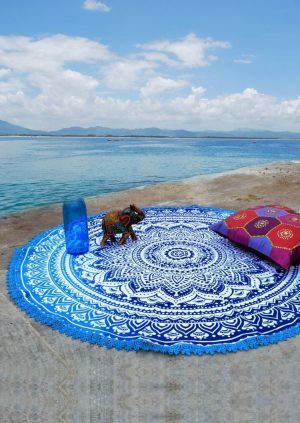 I instantly fell in love with it! I’ll probably be buying another one very soon.